​Tottenham are considering a move for Barcelona winger Malcom in the January transfer window, despite the fact the Brazilian only moved to Spain at the start of this season. Malcom joined Barcelona from Bordeaux for about €50m (£43.9m) in July, but has struggled for game time so far under manager Ernesto Valverde. He has featured just twice in La Liga so far - failing to register a goal or an assist - while he has also been left unused in the two Champions League games Barca have played so far. As reported by ​Sport, Tottenham are keeping tabs on the winger's situation; noting his lack of game time may allow them the opportunity for a mid-season swoop. ​Tottenham are keen to introduce new players into their team after failing to sign a single player over the summer but will have to pay somewhere in the region of €50m if they want to recruit the former Bordeaux player. With just 15 minutes of league football under his belt for ​Barcelona it does seem that chances will be limited for the Brazilian if he remains at the Camp Nou. 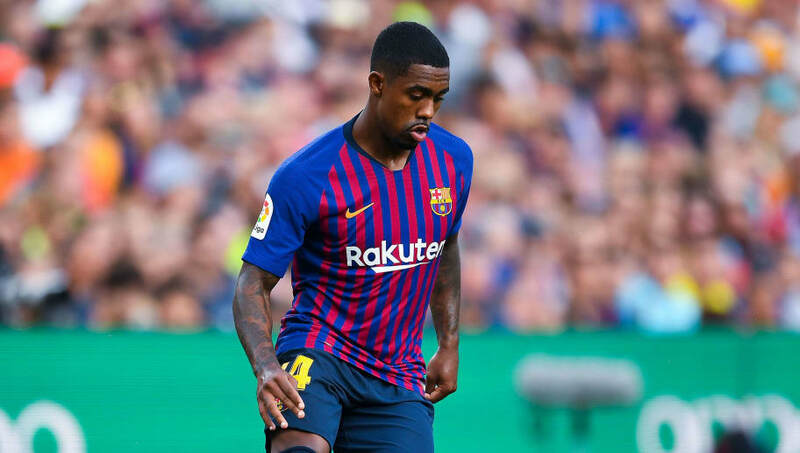 The attacking talents of Leo ​Messi, ​Ousman Dembele, and Philippe Coutinho were always going to be hard to rival, but his form in Ligue 1 last season did suggest that Malcom may possess the requisite quality to thrive a Barcelona. The Brazilian scored 12 goals and provided seven assists in 35 Ligue 1 appearances for Bordeaux last season. ​​Ironically, Tottenham's last signing came in January when they moved for an out-of-favour Brazilian winger also from Ligue 1. This, of course, was Lucas Moura from PSG. After taking a little while to settle into the English game, the Spurs attacker has started the 2018/19 season in fine form - scoring three goals in eight Premier League games for Mauricio Pochettino.